After ages of research, scientists finally discovered how to slow or even stop aging; our first “breaking news” item. 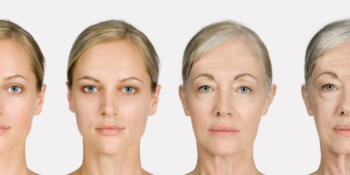 The past two weeks there were lots of rumors that scientists discovered a way to stop aging. Bestanti-aging.com will tell you what is true and false. Scientist THINK that reversing the aging process MAY be a matter of packing DNA together in cells to prevent it from unraveling. Many websites make false claims that scientist know this for sure, but they still have to do a lot of research. What is breaking you think? Let me explain. The study, completed by an international group of researchers, concentrated on a gene that causes Werner syndrome, a disease that involves accelerated aging in young people, leaving them with osteoporosis, gray hair, and heart disease. Werner syndrome patients lack a specific gene that copies DNA and repairs any mistakes in it. The same gene also maintains telomeres, or the caps of DNA at the end of chromosomes that are associated with aging and health. People with Werner syndrome age quickly because of this lacking gene, but scientists weren’t quite sure how exactly this happened until now. In the study, the researchers analyzed embryonic stem cells that had had the gene removed, and watched them age prematurely. The researchers noticed something fascinating: They aged so quickly because their DNA, which should be tightly wound together into something called heterochromatin, wasn’t being packaged properly. Instead, it was loosely wound and messy, which made the chromosomes unstable. Whether the researchers can use these results to develop anti-aging drugs, or completely reverse aging, is yet to be seen. All that we know for now is that “accumulated alterations in the structure of heterochromatin may be a major underlying cause of cellular aging,” Belmonte said in the press release, although there are plenty of other factors that go into the process of aging like telomere shortening. This leaves the authors with plenty of questions: “Can we reverse these alterations, like remodeling an old house or car, to prevent, or even reverse, age-related declines and diseases?” Belmonte states. More research will be needed to better understand how scientists may one day fight aging by focusing on keeping heterochromatin tightly knit.